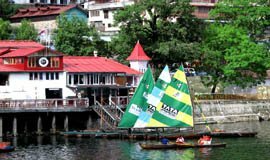 The most royal and prestigious club anchored on the banks of Naini Lake in Mallital- Boat House Club, features exclusive lakeside eating and drinking options like no other. 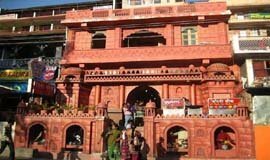 Located right in the middle of the Tibetan Market in Mallital, Sonam is known for its mouth-watering vegetarian and mutton momos and thukpa the most popular Tibetan delicacies. The eatery is located inside the crowded Tibetan market and is hard to miss. 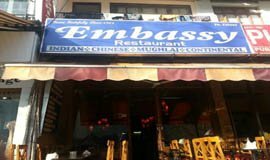 Considered as one of the most happening eating places in Nainital, Embassy is usually packed with regulars and tourists alike. The restaurant's special is the Indian Daal served here, which its regulars swear by. 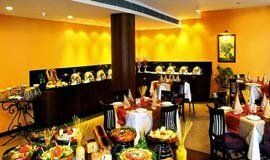 This famous restaurant offers a variety of dishes including Thai curries, steak, Chinese dishes, pizzas, sizzlers and more. 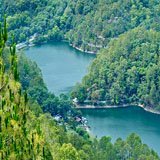 It is particularly known for its excellent pastries and other delectable desserts in Nainital. 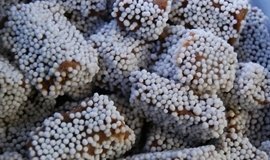 Those with a sweet tooth must try their dose of Bal Mithai, a condensed milk sweet with fudge-like consistency, coated with little sugar balls. Choklate is another version of Bal Mithai, but without the sugar balls. 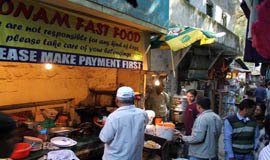 Craving for delicious chaat, gol gappas or other tempting snacks while you are in Nainital? Step in to Chandni Chowk and fill your plate with your favourite food. 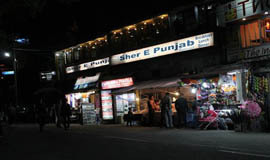 If you are travelled the northern part of India,you would be familiar with the several versions of Sher e Punjab dhabas that have mushroomed on highways and in towns. 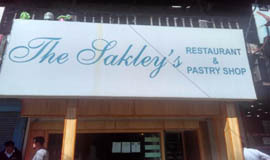 This one, overlooking the Naini Lake, offers the typical Punjabi-style warm hospitality with some rich, delicious food. 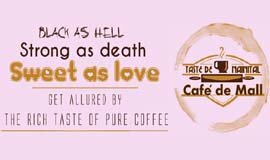 After a long day, the warmth of an inviting cafe is simply difficult to escape and Cafe de Mall truly promises a wonderful time for its guests. 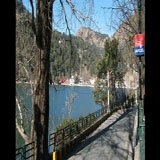 Located right on the Mall Road, this urban cafe is the perfect place to enjoy stunning views of the Naini Lake over a steaming cuppa of aromatic coffee, lip-smacking appetisers or a hearty breakfast. Located inside Manu Maharani hotel, the grandeur of Gardenia - The Coffee Shop is awe inspiring. As you sit anticipating the food, the rich aroma of curries waft and fill your nostrils. The all-day restaurant offers scrumptious delights from all parts of the globe. 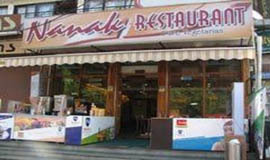 Welcome to Nanak Restaurant, a pure veg restaurant in Nainital. 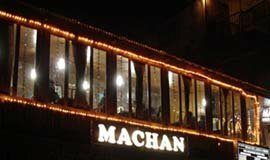 Since it serves only vegetarian dishes, it is mostly preferred by veggie lovers. The various options of Indian breads and naans, coupled with veg varieties, keep bringing the foodies back to the restaurant again and again. The in-house restaurant of The Nature Resort & Restaurant offers a lavish menu, a cosy ambiance and a dedicated staff team for its guests. 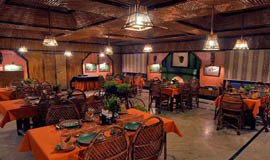 Step in to this lovely restaurant and rest be assured you are in for a wonderful dining experience.